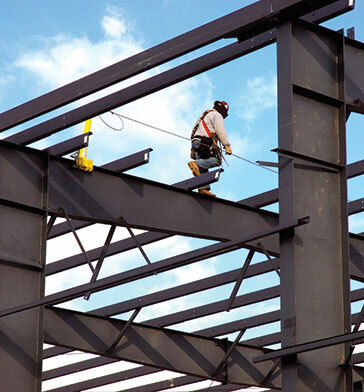 For many years, metal structures have been used for primarily commercial and industrial usage; however, that is no longer the only way to use metal framing. Many people are making the move to use a metal bushing system for residential use, making a cozy, comfortable, and spacious place to call their own. While it may seem contradictory to use metal over traditional home building materials, there are actually many benefits in using metal when compared to wood. Metal barndominiums are highly advanced engineered systems, meaning that when you choose to build a barndominium, you get a qualified engineer designing your home build. All material used in these steel frame homes are made to meet specific requirements, such as wind loads, snow loads, and seismic forces. While this may not mean much to you, what should matter is that your metal home is strong. Broadshield Custom Homes and Contractors build all of our homes and other steel buildings so they last; it is that simple. By using steel and red iron castings, our barndominiums are constructed with the highest level of integrity and quality materials. Unlike wood, steel is more durable throughout the changing seasons. While water will rot wood, it has no effect on the structural integrity of steel. All materials used are covered with rust protectant, ensuring that your barndominium looks as good as the day it was built for many years to come. To see what Broadshield Custom Homes and Contractors can do to make your dreams of the perfect home come true, contact us today. You can have the house you imagine in no time at all.